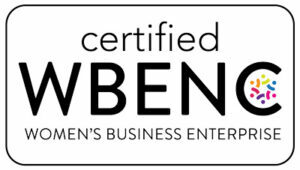 Plymouth Meeting, PA — April 1, 2019 — Therapy Source, Inc., the premier national provider of comprehensive in-person and online therapy staffing services and solutions, has again been recertified as a Woman-Business Enterprise (WBE) by the Women’s Business Enterprise National Council (WBENC). Therapy Source initially received this nationally-recognized certification in 2014. Therapy Source, Inc. is a nationwide therapy provider of comprehensive in-person and online therapy staffing services and solutions. A powerful presence in the educational sector since 2001, Therapy Source’s personalized commitment to service – and ability to facilitate rapid therapist placement – have resulted in partnerships with hundreds of school districts across the US. Therapists, psychologists, BCBAs, and special education teachers seeking placement – and schools seeking an agency to assist with therapist, psychologist, BCBA, or special education teacher positions – can learn more at www.txsource.com.